Double Seclusion IPA: Seclusion’s BIG Brother; 80 IBU and 7.7% ABV! You asked for it and now we have it on tap! BIG hoppy aromas and nice and smooth! 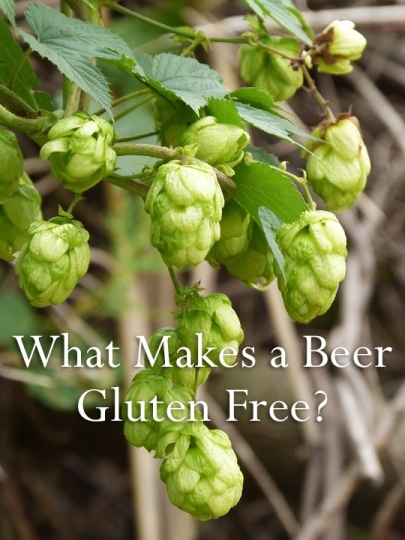 What Makes a Beer Gluten Free? What Makes a Beer Gluten-Free? Most traditional beer is made from malted barley, wheat or rye that all contain gluten. So what makes a beer gluten-free? Since, these traditional ingredients are not gluten-free brewers have to be a bit more creative with their selection of ingredients. This means finding alternative gluten-free grains to brew with such as sorghum, millet, buckwheat, amaranth, potato starch, rice, quinoa and corn. There are a few challenges when brewing with alternative grains outside of just selection of grains. There is often a lack of nutrients that yeast need to stay healthy and multiply. Also, alternative grains often lack enough internal enzymes to convert the starches to sugars that the yeast in turn can digest and create alcohol. All of these things make creating an alternative grain beer that tastes like a traditional beer style from a malt perspective very challenging. Hops and beer go hand-in-hand and happen to be gluten-free. They are used to add flavor, aroma and bitterness to beer. They contribute a variety of desirable flavors and create balance between the malt with bitterness depending on the style of beer being made. In addition, they are also used as a natural preservative. One thing to keep in mind is the interaction of hops and beer is not always straight forward and this is especially true with alternative grains. For instance, dry hopping with certain hops could add an astringent bitterness rather than an intended increase of hop aroma and flavor. New Planet Gluten-Free beer is certified Gluten-Free. Meaning all ingredients that are sourced are Gluten-Free. In addition, New Planet Brewery performs gluten testing during the process and on the final product to ensure New Planet Beer meets and exceeds FDA Gluten-Free Standards. https://www.newplanetbeer.com/wp-content/uploads/2016/05/glutenfreebeer_5.4.16.jpg 540 405 GFbeer https://www.newplanetbeer.com/wp-content/uploads/2016/01/mobile-logo.png GFbeer2016-05-16 08:36:522016-05-11 15:43:03What Makes a Beer Gluten Free? Beer tastes even better when you pair it with good food. In fact, we think beer is actually more food-friendly than wine. This is because of its ability to interact with many food flavors and the complexity of its flavors. Not sure what type of beer to serve with your meal? Read on and we’ll tell you which brews will go well with your favorite meals. Grilling season is upon us. Whether you’re making grilled salmon, bratwurst or grilled eggplant, you want to make sure that you stock up on some beers that are well suited for your grilled feast. Grilled foods are complex. You have char bitterness, dripping fattiness and caramel roastiness. 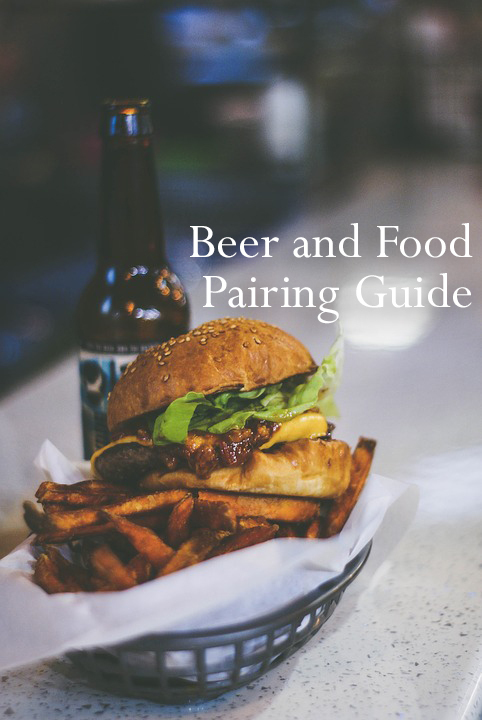 When pairing grilled food with beer, you can never go wrong with brown ale. You want to find a perfectly balanced black or brown ale – nothing too malty, too hoppy or too bitter such as our Gluten Free Brown Ale available on tap. Lagers or refreshingly balanced ale such as New Planet’s Tread Lightly Ale is great paired with pork and red meat burgers. Could there be any better beer and food pairing in the nation besides beer and pizza? If you ordered a large pepperoni pizza, then be sure to have a well hopped ale ready when the delivery guy shows up at your front door or the pizza comes out of the oven. Seclusion IPA is a balanced session IPA with both citrus and tropical notes. New Planet’s Gluten Free Pale Ale with its bright citrusy character would be another good choice. Oysters and stouts have been consumed together for a very long time. Brewers and beer drinkers have discovered that beer is a perfect accompaniment to oysters. It is a match made in heaven. The silky, salty, tender oyster is perfect with the pleasantly smooth balanced black beer. Our Oatmeal Stout on tap and available to take home in one of our mason jars or your personal growler would be a perfect match. You can’t just pair any beer with any cheese and expect bliss. Aged Gouda and our Imperial Red Gin Ale (on Tap in our Tap Room) pair well thanks to the Imperials deep caramel flavors, dried dark fruit character and rich malt. Tread Lightly Ale or our Gluten Free Blonde Ale is a great accompaniment if you want to sample a selection of fine fromage and mild cheeses, thanks to its palate-cleansing qualities. Beer is undoubtedly the most popular alcoholic beverage in the country. In fact, studies suggest that Americans still prefer a cold brew over a glass of whiskey or wine. With so much love for beer, some even like brewing beer of their own at home. With the availability of pre-assembled beer brewing kits and the simplicity of brewing ingredients, it seems like you can’t go wrong. The truth is that there are a lot of things that can steer your beer from its intended course. In the hopes of helping new brewers improve their beer, we gathered some helpful tips from brewing experts. Here are some tips for brewing better beer. Creating drinkable beer is just as simple as making soup out of a can, but if you want outstanding beer, then you need to find the freshest ingredients available. Remember, the quality of the beer you produce is dependent on the quality of ingredients that goes into the brew kettle. Sanitation is the key to making good beer. Sterilize all the equipment that comes into contact with your wort after the boil. You may have started with an off-the-shelf brewing kit, but if you are planning to turn this into a long-term hobby, then you may want to update your equipment. Upgrading to better equipment is a must if you want better beer brewing results. For really passionate brewers, we recommend upgrading your boiling kettle to a glass kettle. This will make a big difference in the mash. Later on, you may also want to purchase an auto siphon, better cleaning supplies, an extra burner and a grain crusher. Clean water is essential in brewing great beer. If you can afford it, use bottled water. If not, be sure to boil the water first. Never use the city’s tap water when brewing as there might be a whole lot of mess floating around in the water that you can’t see. For best results, use the freshest, purest water available. Pedro Gonzalez, founder of New Planet gluten free brewery in Boulder, Colorado tells The Pint that making gluten free beer is essentially like making a modern day house, with a “1940’s tool box.” It is not an easy task to brew with gluten free ingredients such as: millet, sorghum, rice, and corn, and make them taste like the same carbonated, malty, beverage we’ve all come to love. “There’s a large segment of the population allergic to gluten, as high as 10%. Gluten free and gluten-reduced beers provide us with an avenue to be able to drink beer.” Said Gonzalez. He himself suffers from celiac disease, and when The Pint asked why he began brewing, he simply said, “I wanted to drink craft beer!” While Gluten free beer is made in the complete absence of gluten, beers that are crafted to reduce gluten are made with traditional ingredients such as malted barely, and wheat, but under go a process of enzyme hydrolyzation which breaks up the gluten. Gluten free, or gluten aware, New Planet offers a solution. New Planet is unique in the fact that it focuses heavily on its bottle sales. New Planets flagship selection of gluten free beers: Pale ale, Blond ale, Belgian ale, and Raspberry ale, can be found in liquor stores across the continental US. Ingredients are of up most importance to gluten free consumers. All of New planets Gluten free, and gluten-reduced beers are in accordance with the TTB (Treasury’s Alcohol and Tobacco Tax & Trade Bureau.) Which states that gluten free beer must have a list of ingredients on the label, while gluten reduced labels must indicate that the beer is not completely gluten free, and may still contain traces of gluten. New Planets taproom is open 3:00 pm-8:00 pm on Friday and Saturday and has rotating taps that offer experimental gluten-reduced brews. The Pint had the pleasure of trying their current brews on tap including their Oatmeal Stout, an unlikely favorite this summer. It is a dark yet refreshing beer sitting at 5.2% ABV. A sneak peak of an unreleased IPA had an amazing tropical aroma of pineapple, and banana, and yet drank like an American session IPA, smooth with just the right touch of hops at the finish. Indeed, New Planet is proving that gluten free beer is not to be discounted in the world of Craft brews. They are pioneering the way with refreshing, healthy, and overall comparable gluten free beers. New planet is passionate about providing everyone with a good brew because “You do not solve the worlds problems over a glass of white wine.” Says Gonzalez. Read the original article on The Pint. We are very proud of our beer. Great care and effort is invested in the production of our 100% gluten-free ales. The styles and range we offer, are unmatched by any other US gluten-free brewer. So when our beers are recognized by the Craft Beer Community, we love to share it. In the 2014 LA International Beer Competition, New Planet Raspberry Ale was awarded GOLD in the Gluten-Free Category, that was loaded with tasty competition. This is the second straight win for our beer. NOTE: in 2013 we swept the Gluten-Free Category! Look HERE for the full story. https://www.newplanetbeer.com/wp-content/uploads/2014/06/LA-Intl-Beer-Comp-logo1.png 200 200 GFBeer https://www.newplanetbeer.com/wp-content/uploads/2016/01/mobile-logo.png GFBeer2014-06-17 16:30:452014-10-08 09:21:22New Planet Wins GOLD in LA! Michelle entered the Celiac Disease Foundation – Facebook contest to win two free VIP tickets to our National Conference & EXPO with airfare and accommodations provided by CDF Proud Sponsor New Planet Beer. Michelle is our lucky winner, and we are delighted for her and her husband to attend the Expo, June 7-8 in Pasadena, CA. I was a middle school teacher for five years, but I left in 2008 because I felt burnt out. Unknown to me at the time, I had celiac disease, though I left my job because I thought teaching was taking a heavy toll on my health. In February of 2010, I was diagnosed with gluten intolerance. The nurse practitioner that I was seeing at the time gave that diagnosis without testing me. I struggled with the gluten-free diet. I felt better almost immediately but found it difficult to not lapse on it. In August of 2012, my endocrinologist had me tested for celiac disease. We both thought the test would come back negative, instead it came back a very high positive for celiac disease. At this revelation, I realized that even a little bit of cheating on a gluten-free diet for me was not okay. I got very serious about maintaining a gluten-free diet and my health has improved tremendously for it. I write a blog called “My Road to Good Health” about my journey with autoimmune disease (both celiac disease and hypothyroidism) and exercising. On June 6th, the weekend of the CDF event, my husband and I will celebrate our 22nd wedding anniversary. We currently have two black labs and a cat. All our pets, past and present are rescued. We enjoy bicycling and riding our motorcycles. I also enjoy taking yoga classes, reading and photography. I turned 50 years young on May 25th. We are so excited for Michelle and her husband to attend the CDF National Conference and Gluten-Free EXPO! https://www.newplanetbeer.com/wp-content/uploads/2014/06/CDF-prize.jpg 315 929 GFBeer https://www.newplanetbeer.com/wp-content/uploads/2016/01/mobile-logo.png GFBeer2014-06-02 10:09:422014-06-02 10:55:56CDF Expo VIP Experience - We have a Winner! The GF logo stands for the independent verification of quality, integrity, and purity of products. Products carrying the GF logo represents unmatched reliability and for meeting strict gluten-free standards. GFCO is the leading gluten-free certification program in the world. Though we have always prided ourselves on our 100% gluten free status, we are excited to have the backing of the Gluten Intolerance Group and the official certification. Our next mission is to get our GMO-Free Certification. All our beers are GMO-free at this time, but we feel that taking the extra steps to independent verification adds a level of trust that is very important to our fans. Check out all our styles of beer HERE. https://www.newplanetbeer.com/wp-content/uploads/2014/05/Certified-Gluten-Free-Logo-300-dpi.jpg 411 400 GFBeer https://www.newplanetbeer.com/wp-content/uploads/2016/01/mobile-logo.png GFBeer2014-05-30 10:58:432014-05-30 10:58:43Certified!! Are you cooking Thanksgiving dinner for someone with Celiac disease or sensitivity to gluten? Do not despair! Even Thanksgiving recipes, in all their wheat-y goodness, can be made both gluten-free and delicious. Gluten lurks in a host of pre-packaged ingredients often used on Thanksgiving like gravy mix, stuffing seasoning and cranberry sauce. Omitting these pre-packaged ingredients will be necessary, but this can make the Thanksgiving cooking much more laborious. To save cooks time, BigOven has compiled full pre-planned gluten-free menus that can easily be customized and added to the cook’s grocery list. All menus are available on BigOven’s mobile apps, so cooks can take them to the store. See a sampling below. Cooking a gluten-free Thanksgiving meal doesn’t require cooks to forego the classics. Even stuffing and pie can be made gluten-free by the conscious cook. Stuffing doesn’t have to be made with bread – quinoa and rice lend well to side dishes reminiscent of stuffing’s hearty, warm, comfort-food feeling. Try these dishes for a delicious alternative stuffing. For more traditional cooks, gluten free pie crust is an option. See more gluten free dessert recipes in the BigOven Gluten-Free Thanksgiving collection. These simple adjustments allow cooks to enjoy a delicious Thanksgiving dinner while adhering to their guest’s dietary restrictions. Cooks can add pre-made gluten-free menus to their grocery list and view the Gluten-Free Thanksgiving collection on www.bigoven.com and any of BigOven’s mobile apps.